IOG Young Board Memeber Addresses Barriers: Martin Stephenson has been involved with the Institute of Groundsmanship (IOG) Young Board of Directors, which is sponsored by Toro and Reesink Turfcare, for four years helping promote an industry he loves and addressing some of the barriers he perceives to a long-term career. Martin’s CV in groundscare, despite his young years, impresses. Clearly a career in grounds was always on the cards. He went to East Durham College to study work-based horticulture in sports turf, and kickstarted his career as a groundsman at Bentley Cricket Club, before making the move to Ashbrooke Sports Club as assistant grounds manager. 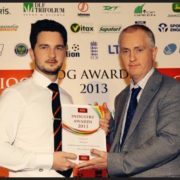 And the awards followed him wherever he went – three in total including the coveted IOG Most Promising Sportsturf Student of the Year award in 2013, now sponsored by Toro and Reesink. Martin continues: “I’ve now left my role as a groundsman for a career in sales with Turfcare Specialists Ltd. It’s a move that’s been one of the best decisions of my life but there’s no doubt I miss being groundsman for a sports venue, it’s in your blood for life. 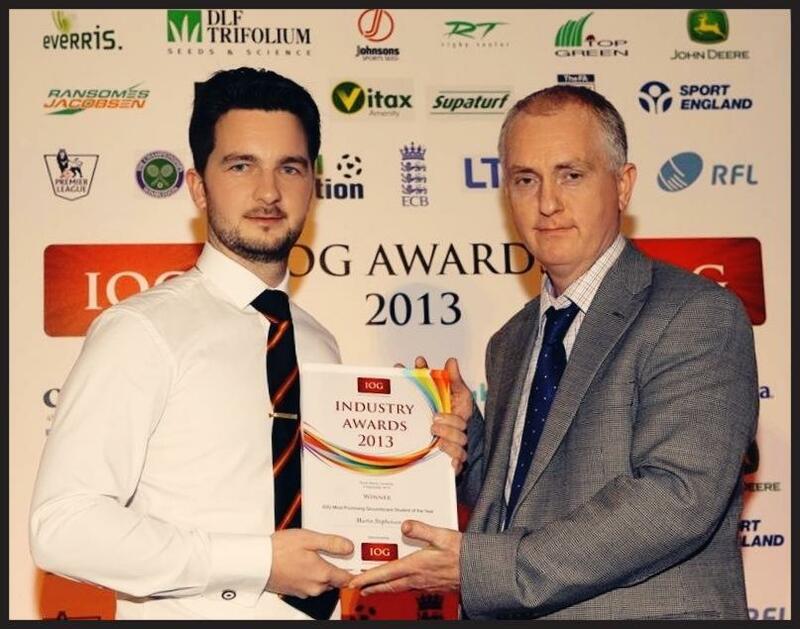 “I’m really proud of my career as a groundsman and especially of my time as an IOG Young Board member. The reason I joined the Board was to raise the profile of the grounds industry for the young generation. Being involved was an absolute honour and brought many opportunities my way. I’ve networked with the greats from the industry and made some lifelong friends in the process. So why the career change? “I felt working in the North-East of England as a groundsman, progression was very difficult, and I would have had to consider moving down south or overseas to further my career. That was my personal reason for changing careers, but I’ve also heard that poor starting salaries and demanding working hours are putting people off joining the industry or are instrumental in a career change. Although Martin’s time as a Young Board member has come to an end, he continues with his advisory role with Durham Cricket Board and maintains a great interest in how the role of a groundsman evolves and how the industry moves forward.